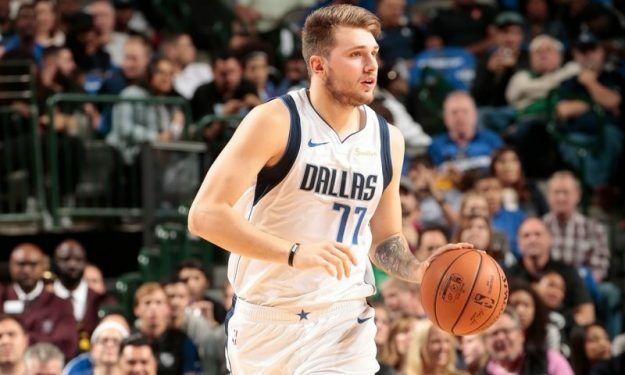 Only one teenager has started his career scoring ten or more points for more consecutive NBA games than Luka Doncic. Luca Doncic is surely impressive in his first NBA steps. He is already among the strong favorites for the Kia Rookie of the Year award. It’s not only the points he puts on the board, but his ten consecutive double-digit games in the beginning of the season are head-turning for most fans. His ten matches with 10 points or more are already the second-longest streak in NBA history for a player up to 19-years-old, per Stats By STATS. Kevin Durant’s double figures scoring in his first 17 NBA games is the only streak that surpasses his. Well that could be “corrected” by the end of November. Doncic is averaging 19.8 points per game. He had ten points in his debut, but has safely got passed the double-digit mark in the rest of his appearances. As long as he avoids a bad night in his next seven matches, he will have a date with history and a chance for an 18th consecutive double figure on November 25th, when the Mavs host the Boston Celtics.